Update International's black leather guest check folder is the perfect ending to your restaurant's exceptional meals. 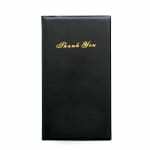 This guest check folder's padded black leatherette finish is not only stylish, but guaranteed to last for years to come at your restaurant. 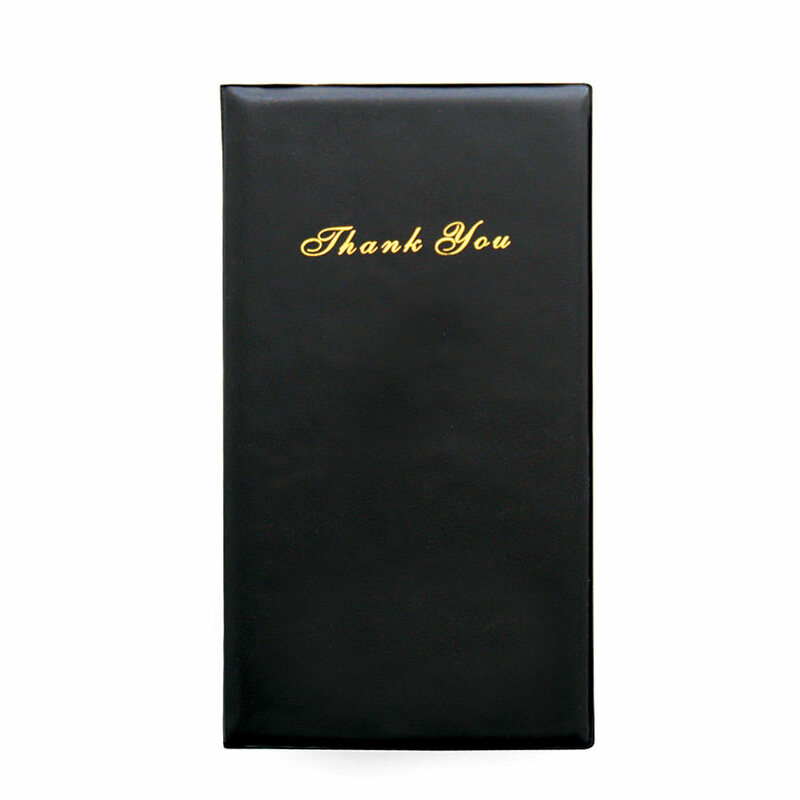 Let your guests know you appreciate their business with the stylish gold "Thank You" imprinted on the cover in elegant script. At 5-1/2 in. x 10 in., this elegant guest check folder is the perfect size for storage, presentation, and organization. This guest check folder allows you to present bills discreetly, while keeping bills, receipts, and payments neatly organized and secure. And, with its extremely affordable price, it will certainly be worth your restaurant or hotel's investment! 5-1/2 in. x 10 in. "I bought these because my bosses refused to get new ones for the servers. First they ended up being too long for our pockets and after only a cou..."
"very satisfied with speedy delivery and product quality"
"I bought these because my bosses refused to get new ones for the servers. First they ended up being too long for our pockets and after only a couple of weeks of use they are starting to rip apart. Quite disappointed to say the least." "I use them in my wine bar/bistro and they are easy to keep clean." "I purchased a few of these bc I'm a server and we needed books but the fact that they are already tearing and falling apart after only a week is very disappointing but I guess you get what you pay for "
"They look better on here than they are in person. They're somewhat tricky to open, perhaps because they're new. But they don't feel like good quality which is what I was looking for." Affordable, and will keep coming back. "We use these guest check presenters in our dining room, we place resident's menus in them by table numbers, to keep the menus organized." Winco CHK-1K Check Holder, 10" X 5.5" X .5"